Its Thyme to Preserve those Herbs! With summer coming to an end, it's a good idea to dedicate some time to preserving your garden's bounty whether its canning tomatoes, freezing green beans or drying herbs. 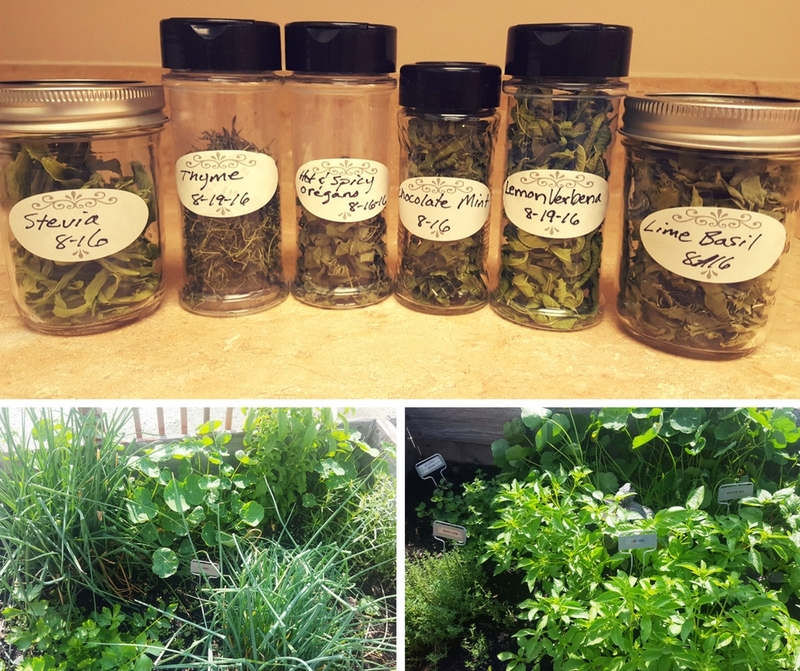 I didn't intend on having a large garden this summer but I did want to grow enough to eat and also some to preserve for later. With all of the tomatoes I grew, my boyfriend and I had some fun over the weekend juicing and freezing tomato juice. I can't wait to make tomato soup with it this fall and winter! When it comes to herbs, which were also in abundance this summer, you can either freeze or dry them for best quality. Pick them now before they start to flower for the highest concentration of essential oils. This herb preservation video will show you the methods I used to preserve some herbs at our office in Milan. In the video, I showed you how to preserve basil, lime basil, thyme, papalo and rosemary. Other herbs I've preserved recently are lemon verbena, ginger and pineapple mint, pineapple sage, sage, stevia and hot & spicy oregano. I'll be using these for programs later this fall when fresh herbs won't be available. Some you'll be able to find in the store but not the quantity, nor the variety that is needed. Why spend money when you can preserve your own for free?! **A note on papalo- this herb is native to South America and is also known as "summer cilantro" due to its heat-loving characteristics. It has a complex flavor and can be used in place of cilantro. It tastes great on Mexican food, eggs, baked potatoes, salads and wraps.